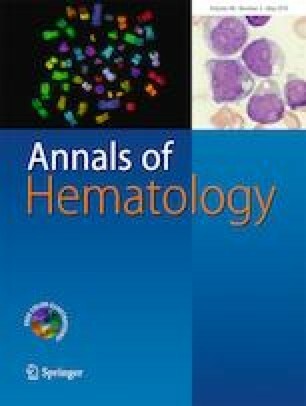 Short tandem repeat (STR) analysis is used in chimerism monitoring after allogeneic hematopoietic stem cell transplantation (HSCT) for patients with various hematologic malignancies. Commercial forensic STR kits often contain loci with huge differences in power of discrimination (PD) across populations, causing some loci to be less informative for chimerism analysis in certain populations. This study aimed to construct a new STR multiplex panel with highly informative loci for efficient chimerism analysis. Thirteen STR markers which exhibit high PD (> 0.9) in at least 80% of 50 populations globally were selected to form a new panel and used in STR analysis of 253 Malaysian subjects. Cumulative power of discrimination (CPD) and combined power of exclusion (CPE) were determined from 253 Malaysian individuals. Loci informativity was assessed and compared to the commercial AmpFLSTR Identifiler PCR Amplification kit in 14 donor–recipient pairs. The new panel had detected 202 unique alleles including five novel alleles from the 253 individuals with high CPD and CPE (> 0.99999999999999999 and > 0.999999997 respectively). All loci from the new panel in the donor–recipient pair analysis showed higher than 50% informativity, while five loci from the commercial kit demonstrated lower than 50% informativity. Four loci from the new panel ranked the highest informativity. A sequenced allelic ladder which consists of 202 unique alleles from the 253 subjects was also developed to ensure accurate allele designation. The new 13-loci STR panel, thus, could serve as an additional powerful, accurate, and highly informative panel for chimerism analysis for HSCT patients. The online version of this article ( https://doi.org/10.1007/s00277-019-03626-w) contains supplementary material, which is available to authorized users. The authors thank Rozi Hanisa from the National Blood Centre, Malaysia, for collecting the samples in this study. This study was supported by ERGS Grant (ERGS/1/2012/SKK09/UKM/01/3), Ministry of Education, Malaysia. This study was approved by the ethics committee of the UKM Medical Centre, Malaysia.